There are certain structural and functional changes that develop in the urinary tract during normal regnancy, which are significantly different than non-pregnant normal females. During pregnancy in women with underlying chronic kidney disease (CKD), the adaptation to these changes may not be optimal. Under these circumstances, the pregnancy outcome as well as maternal CKD may be affected. The issue focuses on the physiological changes in the kidney and assessment of proteinuria and GFR during pregnancy. The current update also details the cases of pregnancy in the setting of CKD describing the effect of CKD on pregnancy as well as effect of pregnancy on CKD. The chapter on pregnancy-induced hypertension―Pre-eclampsia focuses on the prevention and management of complications in the patient. 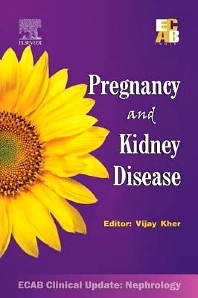 The authors also give an insight into the pregnancy in cases after kidney transplantation.